Whether you are in need of one driver or fifty drivers, put our experience in the Driver seat. We will find you the right candidates for your positions. We are dedicated to understanding our customer’s needs and executing on delivering the right people that will be a good fit for your operations. We know that when your freight needs to go, you need safe, reliable drivers with the experience and dedication you can depend on. 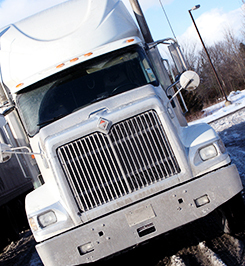 We offer driver recruitment for everything from vans, flatbeds, box trucks, tankers, and more. Trust us to find qualified drivers that fit your needs on an ongoing basis. We know how important it is for our drivers to be dependable professionals. Our truck drivers undergo a rigorous application process, ensuring their employment history is consistent and that they do not have criminal issues or speeding tickets. All of our drivers are DOT certified, and we randomly drug screen to ensure the safety of our drivers. Based in Birmingham, Alabama, we recruit drivers in any state.